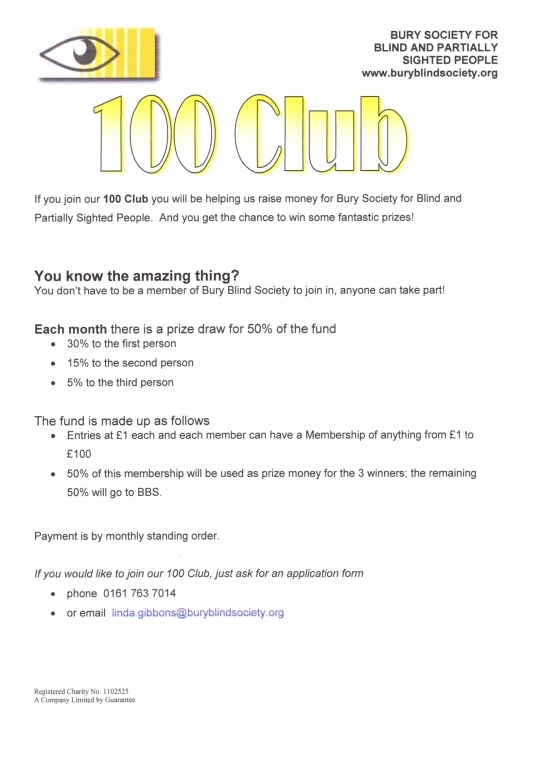 Bury Society for Blind and Partially Sighted People, as we are a small local society not linked to any other larger national or regional sight loss charity, are very much reliant on donations & the income from fundraising events. 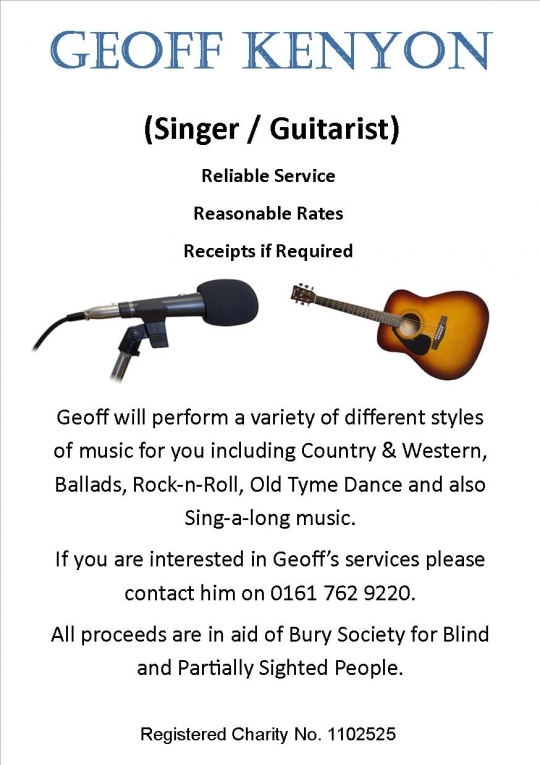 The Society has a busy schedule of activities arranged to help us meet our costs and further our work with blind and partially sighted people. If you would like to get involded in a fundraising event, please take a look at our News and events pages to see what's coming up soon. Furthermore, you can now see photos from previous events in our photo gallery. We are now working with 'Virgin Money Giving' to create an easier way for our supporters to make either one off or regular donations. From this site you can also create your own sponsored event, sponsor one of our staff for a challenge event they are completing or donate your own sponsorship from a marathon, hike, sponsored baked bean bath, the sky's the limit. Click on the link below to explore the possibilities. This fantastic site also automatically collects gift aid from UK tax payers with their permission which in itself raised invaluable unretsricted funding each year. Or you can always call in and see us at the Resource Centre at the above address. If you have any queries please don't hesitate to contact us. You may also be interested in supporing the Society and our clients as a volunteer.